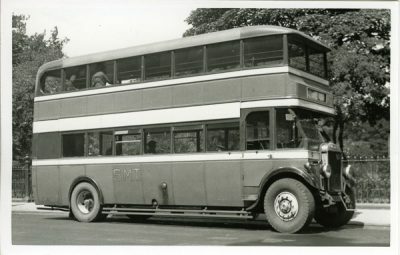 Leyland model A 1931 model, Reg No HH2425. 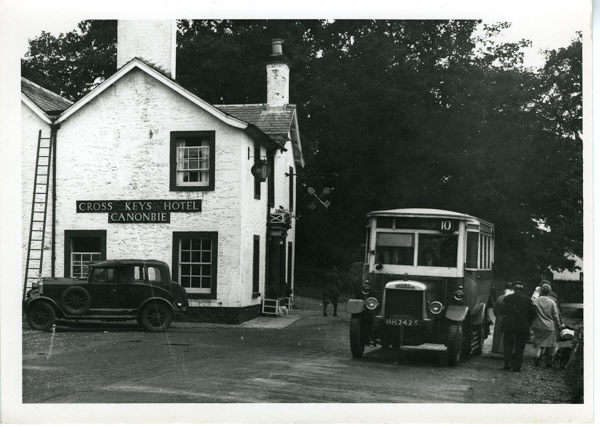 Dropping off passengers at the Cross Keys Hotel in the village of Canonbie, Dumfrieshire. 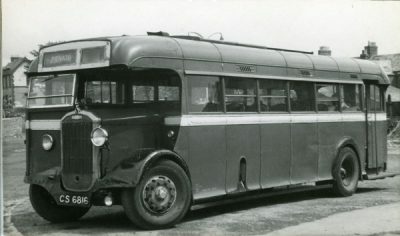 Bus owned by the South of Scotland Bus Co, Richard Percival of Carlisle. 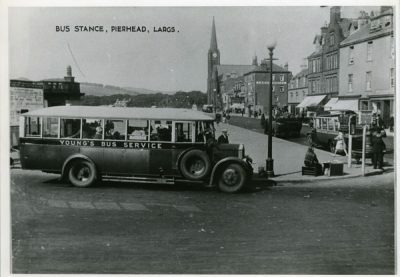 A 1930 style fabric saloon parked beside hotel. This is possibly a special bodied Morris Cowley. This was Percival’s route, no. 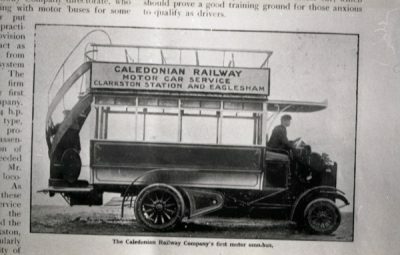 10 from Carlisle to Langholm. 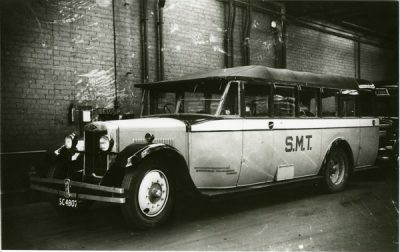 The South of Scotland Bus Co. sold out to Caledonian of Dumfries in 1931.